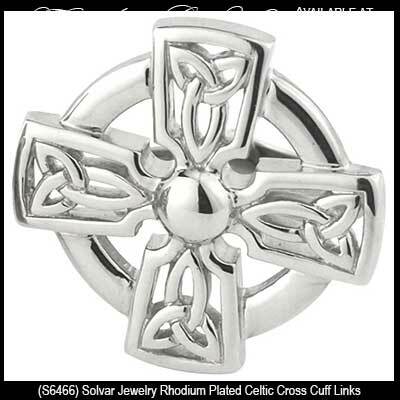 Masculine Celtic jewelry that features an assortment of larger designs for men. 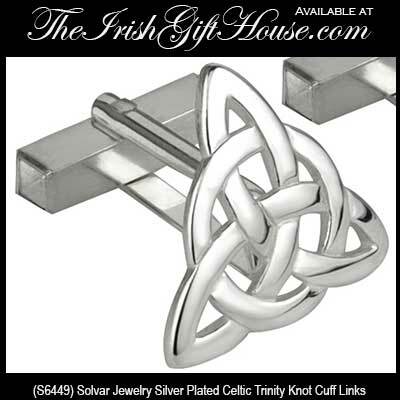 Our Celtic jewelry for men is made from metals that include stainless steel along with pewter and sterling silver that will offer years of rugged ware. 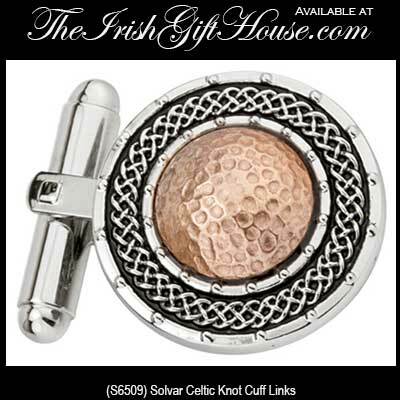 The collection of Celtic jewelry for men includes masculine accessories such as cuff links and tie pins. 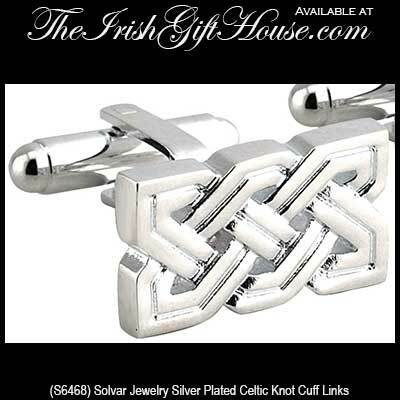 The Irish Gift House also features burly bracelets and necklaces from the Solvar Celtic Man Collection. 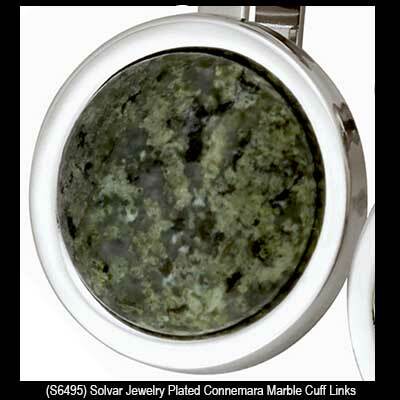 Celtic jewelry for men is grouped by design in the above specific categories or you may scroll down to see all our selections in one place. 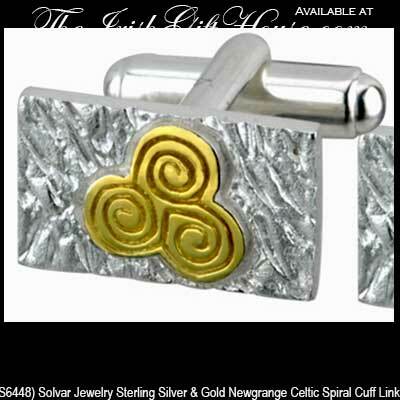 Sorry, these Celtic cuff links are now sold out. 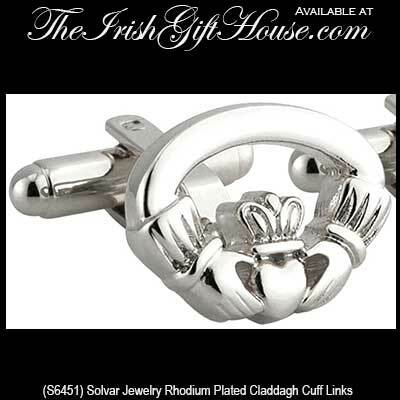 Claddagh cuff links are crafted in gold and feature a chain link shank. This section only lists some of our men's Celtic jewelry as you will find many other options in several different categories such as the separately listed Celtic cross necklaces for men page where you will find masculine designs in both sterling silver and gold. 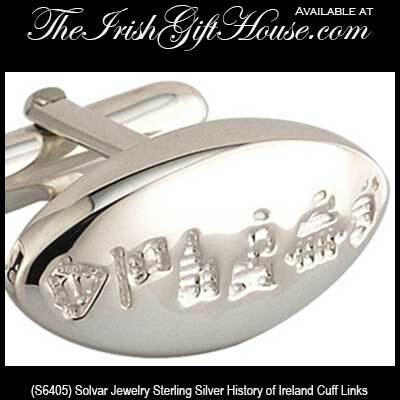 The guy's also have a dedicated men's Claddagh ring page where you will find sturdy designs that are also crafted from either sterling silver or gold. 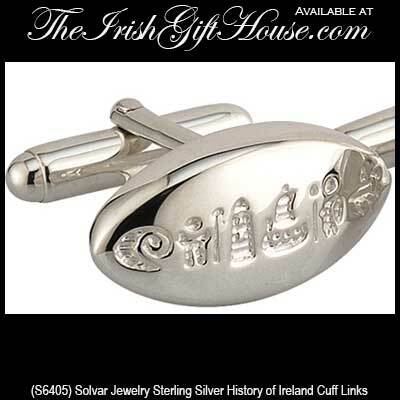 The wedding band categories are set up differently so you will find both masculine and feminine rings in the silver Celtic wedding bands section and in the Claddagh wedding band pages.